Nikon (fairly recently) celebrated its 100-year anniversary on July 25, 2017. That was also the date the company chose to announce its August launch of the new Nikon D850 Digital-SLR. Now that you have your dream camera you’ll want to mount the finest optical devices. This piece looks at the 6 best lenses for the Nikon D850 from six categories. After all, a professional-grade full-frame DSLR like this deserves nothing less. Your FX-Format Nikon sports a 45.7MP CMOS sensor and EXPEED 5 image processor. It’s an amazing light-tight box that guarantees astounding full-frame UHD-4K video and high-res photographs. But a camera is only as good as its lenses so you need to equip it with the right optics for optimal results. There’s plenty to love about the Nikon D850. Its ergonomic design and well-placed intuitive controls make it a perfect choice for creative portraiture. It won’t disappoint if you’ve bought it for sports footage either. Faster is always better with action photography. This puppy gives you continuous shooting @ 7.0fps. And the environmental sealing makes it a good all-rounder for outdoor projects. The lenses you choose depend on the type of photography and personal style. It’s why I have a variety of types in this guide. These include; standard, macro, telephoto, zoom, and wide-angle. The simple reviews on this page highlight the most important attributes for each lens in its category. We waited in eager anticipation. And when the new Sigma 85mm f/1.4 DG HSM Art Lens for Nikon F arrived it didn’t disappoint. I’m not alone in saying this prime portrait lens for Nikon exceeds all expectations. I thought the price seemed a little on the high side at first. This criticism dispersed once I got to appreciate the precision and high-quality of this amazing third-party lens. As part of the Sigma Global Vision Line, this is perhaps the sharpest 85mm lens produced so far. The top slot used to belong to the legendary Zeiss Otus 85mm F1.4, but not anymore. The lens autofocus is smooth and fast thanks to the new Hypersonic Motor (HSM). The wide aperture makes the Sigma 85mm an ideal choice for portraiture, weddings, and indoor sports, etc. There’s plenty to marvel at if a prime portrait wide-aperture lens belongs in your kit bag. You know when a reviewer is honest by the time they take to write detailed feedback. 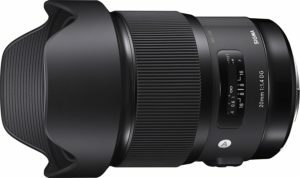 Photographers have spoken a lot on the Sigma 85mm f/1.4 DG HSM Art Lens. The first impression of many was the high price tag but, like me, they soon came to understand why. Reviewers also picked up on how there’s little or no chromatic aberration at f/1.4. The Nikon and Canon rivals can’t boast the same results. User feedback includes words like awesome, beautiful, amazing, etc. I have to agree, and it’s why the lens made it onto this page. The Sigma 85mm f/1.4 doesn’t get 5-stars all the way, though. There are a few complaints that calibrating the lens was fiddly even with the docking system. Another gripe is the physical aspect of the lens which I discuss more in the cons section below. Only a passionate photographer can appreciate the aesthetics of a Nikon camera lens. The Sigma 85mm f/1.4 has a lot of elegant design appeal with its physical exterior and internal optics. A good-looking lens means nothing without a high-quality build. The construction is first-class with this product. It easily meets the challenges of today’s professional photographic requirements. Sigma uses Thermally Stable Composite (TSC) material and metal parts in the build. They’ve protected the finished lens with a rubber gasket at the lens mount. The focus ring is ultra-smooth and the AF incredibly fast thanks to the HSM motor. It’s easily on a par with a Nikon 85mm f/1.4G lens on a D750. It’s also faster than a Canon 85mm f/1.2L II. The new Hyper Sonic Motor has 1.3 times superior torque than its predecessor. That’s a significant difference and a notable improvement. One gripe with the Sigma 85mm f/1.4 Art is its heft. At 39.9 oz. (2.5 lbs.) it’s no featherweight for a lens in its class. It’s also taller and wider than the predecessor and its Canon counterpart. The size and weight will be a setback for some people. Photographers with smaller hands could find it awkward, especially on long shoots. It’s something that a few of you will want to think about. Another shortcoming is the unconventional 86mm larger filter size. It’s a disadvantage because these filters are expensive compared to smaller sizes. The filters are harder to come by too. 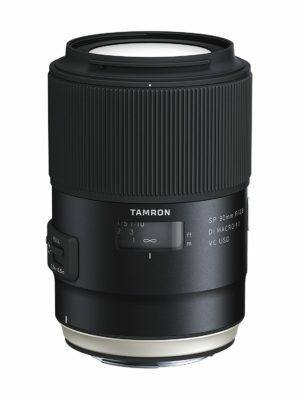 Tamron is another reputable brand in third-party DSLR lenses. I decided to take a close look at their SP 70-200mm f/2.8 Di VC USD G2 lens. It turned out to be a good decision. What we have here is a Nikon FX DSLR Camera telephoto lens that gives its rivals a good run for their money. It’s an essential piece of kit for any camera gadget bag in my opinion. The lens construction was one of the things I first noticed. The body is a high-quality plastic material with metal precision parts. The rubberized zoom and focus rings feel natural and reassuring. The tripod collar that comes with this model ticks one of my must-have boxes. And there’s a rubber seal at the rear metal section on the inside and a weather protective gasket around the exterior. These were my initial impressions. They are also the reasons I decided to run with this as my telephoto choice for the Nikon D850. Now let’s look into Tamron’s SP 70-200mm F/2.8 lens in more detail. Reviewers revel in the image quality and praise its amazing high resolution and contrast. Another thing critiques notice is the absence of any notable chromatic aberration. There’s praise for the lens’ usage in portraiture too and how smooth its background out-of-focus shots are. Low light photography, including low-light distant work, is another shared appreciation. This is also a lens where owners just love to show off their image results. Anyone who writes reviews and backs them up with impressive photo/videos is a happy camper. I only came across a few minor gripes. One was on how the toggle switches protrude and sometimes get in the way. Some users complained that they’d activate or turn off certain features by accident. The wide f/2.8 makes it a versatile telephoto zoom. It helps when you want to shoot in dark conditions, choose faster shutter speeds, or create out-of-focus backgrounds. The image stabilization is another exciting feature of the Tamron SP 70-200mm F/2.8 Zoom Lens. Tamron’s latest stabilization technology is impressive compared to its older lenses. The autofocus on this lens also checks the right boxes. It’s not only fast but quiet too. There’s a little bit of micro adjusting on occasions but it gets an accurate focus more than 95% of the time. The lens has a rubberized outer front edge that is quite unique. I like this because it offers more protection against accidental knocks. That has to be a welcome addition to any costly lens. This Tamron telephoto zoom surprised me. I’d say its quality is on a par with that of a Canon L lens. The zoom ring feels quite smooth but it’s not as seamless to operate as some lenses. The problem is it tends to stiffen somewhat towards the end of the zoom range. It’s not major but still worth noting. The price could always be more attractive on lenses, right? 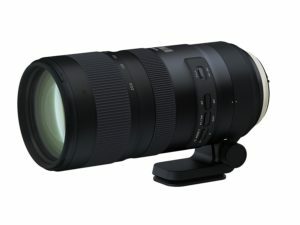 But the cost of the Tamron SP 70-200mm makes it among the most expensive third-party lenses in its class. 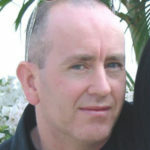 The price is a particular consideration among enthusiastic amateurs and prosumers on a tight budget. It’s a good long-term investment and money well-spent for those who make a living from photography. Lens makers set high standards based on top quality precision parts and higher production costs. The Nikon AF-S FX NIKKOR 24-70mm f/2.8E ED VR is a professional workhorse zoom lens. It’s a replacement for the older Nikkor 24-70mm f/2.8G AF-S ED lens and I just had to review it. The upgrade shows a more complex design to the optical arrangement. It also sports Nikon’s Vibration Reduction or VR system. Well, the company did promise a more durable lens with advanced optics. The sheer size and weight put me off at first. This became less of a problem once I got to see how well-balanced the lens actually was. It’s also super-easy to use when mounted on Nikon’s D850 DSLR. There were a couple of other things that first drew my attention to the Nikon 24-70mm f/2.8. The internal focusing (IF) was one, and I liked the constant aperture for a lens with a wide-ish zoom range. Most new owners rave about the superior build of this standard zoom lens by Nikon. Everyone seems to enjoy the photo quality, fast autofocus, and reliable Vibration Reduction system. This lens is longer and slimmer than Tamron’s 24-70 VR. Those who have owned both write about how they prefer the ergonomics and handling of the NIKKOR. First-time photographers of the VR system appreciate the significant gains in image quality and ‘keeper photos’. Not everyone is happy with the results, though, and a few still prefer other models to this one. Reviewers gripe about the high price tag more than any physical negatives. These are most likely folks at the amateur level rather than full-time professionals who view it as a good investment for their job. I did come across a few very minor grievances but nothing widespread enough to mention here. 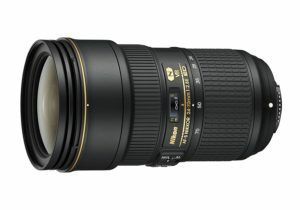 Nikon made their 24-70 mm f/2.8E for hardworking pro photographers who need a lens for broad usage. It’s for those who don’t have the luxury of time to faff about swapping between lenses. The optical properties are second to none and you won’t find many complaints in that area. The fast and reliable autofocus is due to the stronger AF motor needed to arrange all those moving optics. The Nikon D850 doesn’t have in-body stabilization but this lens has 4-stops Vibration Reduction (VR). The built-in image stabilization system ensures sharper footage with low-light and handheld shooting. The VR system is worth considering for people who regularly shoot in low-light conditions. Documentary photographers and investigative journalists are prime candidates for this lens. The 24-70mm f/2.8 AF-S FX standard zoom lens is incredibly sturdy. Nikon has sealed the solid metal construction which makes it as indestructible as it can be for a digital-SLR zoom. The lens has a nano-coating that helps to reduce ghosts and flare. This is useful in conditions with strong backlighting. There’s also a dirt-repelling Fluoro coating on the front and rear of the lens. This lens is big and heavy. It weighs a staggering 59.2 oz. or 3.7 lbs. It’s easily the heaviest of all the lenses on this review page. It’s a price we have to pay for metal construction and advanced optics. I’d say it’s not possible to reduce the size and weight without compromising the high quality. The only other major gripe is with the price tag but even that’s relative. After all, the photographer who shoots using a Nikon 24-70mm f/2.8 AF-S FX most likely earns an income from doing so. A couple of less notable gripes could be the slightly uneven lighting at f/2.8. A highly critical eye might also notice a tiny drop in edge performance at the wider aperture range. Most photographers can make use of a Nikon wide-angle lens. The Sigma 20mm F1.4 ART DG HSM is a beauty. It’s more affordable than the Canon L alternative too, which is what first attracted me to it. It’s a great choice for landscapes, artistic action shots, and group photos in tight places. In fact, the uses for a quality wide-angle like this one have few limits other than the photographer’s imagination. I found it an easy lens to use with the Nikon D850 camera. It’s a particularly good lens for available daylight and low-light conditions. The 94.5° angle is perfect for close-up street photography. The f/1.4 wide aperture means the Sigma 20mm ART is incredibly fast. Like my earlier Sigma pick the build quality of this puppy does not disappoint. Overall this lens gets a lot of favorable feedback from those who take the time to write reviews. There are plenty of reports on the beautiful crisp images and also its use for landscape astrophotography. Most who bought or rented this Sigma 20mm agree that the unique wide-open aperture and wide-angle makes it a surefire winner. One of the more common complaints is a shared dislike for the lens’ heft. Despite the bulk and weight of the Sigma 20mm F1.4 ART, it’s not something that deters people from using it. The rounded front element prevents the use of lens filters and gets a negative mention. It’s more of a serious issue for some photographers than the cumbersome factor. The look and build quality of the Sigma 20mm F1.4 ART lens is exceptional. It’s probably better than the Canon L lenses and certainly a better build than most other brands. This is true of all ART lenses. Sigma has really pushed the boat out with their super-wide f/1.4 aperture on a wide-angle lens. It surprised me how accurate the autofocus was at the wide open aperture setting. The Hyper Sonic Motor (HSM) delivers incredibly fast and smooth autofocus. It could even be the fastest DSLR lens I’ve tested to date. It’s quiet too, and there are all kinds of advantages to that. Another nice feature is the option to turn the focus ring to switch from AF to manual focus. It does away with fiddling around with AF/MF buttons if you need to take manual control in an instant. Center sharpness with this bright lens is breathtaking at full aperture and peaks at f/4. The difference is only noticeable with blown-up images though. The edge sharpness is equally as impressive. There’s no other way to say it; this lens is big and heavy with a fat spherical front element. Comfortable grip and weight have to be serious considerations for anyone who goes on long shoots. 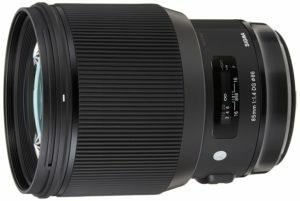 How heavy is the Sigma 20mm F1.4 ART? I’ll use the Canon EF 20mm f/2.8 as a kind of comparison. It weighs less than half that of the Sigma’s 33.6 oz., though it’s not an equal in performance. The absence of weather sealing is a disappointment for an otherwise superb outdoor wide-angle lens. There’s not even an option to use a lens filter for front protection due to the bulbous shape. The first thing that attracted me to the Tamron AF SP 90mm F/2.8 Di VC USD 1:1 Macro was its price. I was curious to know if the lens’ affordability was at the expense of its optics and handling. I’m never without a prime macro lens in the kit bag. The advantage of most prime lenses is their exceptional image quality. I had to see how this one measured up mounted on my Nikon D850. I wasn’t let down, hence its slot here on my lens review page. I found it to be a superb all-around product. It’s sturdy, has excellent image quality, macro capability, and weather protection. I noticed the lens has moisture-proofing and dust-resistance too. There’s also a protective coating on the front elements that helps to repel water and greasy fingerprints. My main checkboxes for a lens in this class include sharpness, bokeh, and focus ability. The Tamron 90mm F/2.8 SP Macro lens is not perfect, but it’s close to perfection—for the price. Reviewers praise the lens quality, its focus ability, and overall value for money. There’s little criticism on the color and contrast fronts either. The close focus also gets a big thumbs-up for this macro lens. Some user reviews talk of the slight presence of chromatic aberration in detailed shots. No one has marked the lens down because of this as perfection is an unobtainable goal for almost every lens. Macro enthusiasts report how the lens sometimes hunts for focus and makes a strange noise (see cons below). Many close-up photographers prefer manual focus anyway, and that’s as smooth as silk. The broader ratings and positive feedback for the Tamron 90mm F/2.8 SP Macro are encouraging. There are no complaints about the bang & scratch-resistant build and materials of course. The smooth exterior, though, does mean it lacks the same useful grip you find with some rival lenses. Not all out-of-focus blur is equal but this lens produces bokeh of the highest aesthetic quality. One way to describe it is creamy. I’m sure there must be better words to describe it but you get the point. At just 22.4 oz. (around 1.4 lbs.) this Tamron macro is a lightweight too. Robust & light is a unique and welcome combination in my book. It’s also reasonably compact for a lens in its class. Not all lenses have weather sealing, especially cheaper models. This one has it built into the lens mount and other areas that need protection from the elements. It’s hard to find any major faults with this lens. It offers a lot and the icing on the cake is its price tag. There are a few reports about the auto-focus. Most of the time it’s super-quick and accurate but occasionally it wanders—apparently. This is only really evident in close-up low-light conditions though. The AF makes with a strange noise with vibration compensation (VC) on. I’ve never heard anything quite like it before. It doesn’t sound ‘normal’ but I’m reassured to know it’s not a mechanical defect. Something else I noticed was how small the clearance is between hood and lens cap. It’s a minor issue but it can be annoying when you knock the cap off each time you go to remove the hood. 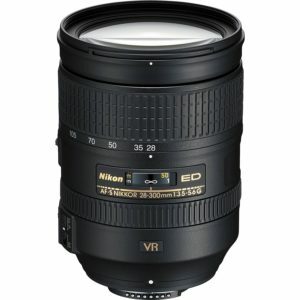 My final pick is the AF-S NIKKOR 28-300mm f/3.5-5.6G ED VR Lens. It belongs to the super-zoom category of lenses and enjoys a lot of positive feedback from those who own or have used one. This is a compromise lens that looks serious when mounted onto the Nikon D850, but how does it perform? I couldn’t wait to find out. Keep reading to see how much that compromise affects quality. Another thing that drew me to this lens was that it can close focus down to 18-inches at all focal lengths. I don’t expect perfection but at around 1000 bucks it still needs to be pretty darn good. OK, let’s start by looking at what users of the NIKKOR Super Zoom have to say about it. The Nikon f/3.5-5.6 is a popular 28-300mm AF-S FX NIKKOR Super Zoom that sells well for good reasons. Photographers who travel a lot find it particularly useful as it cuts down on equipment. Most reviewers think the price-to-quality factor is appealing. Those who complain about this tend to be less experienced photographers who assumed they’d get the same quality as a prime lens. The happy campers—and there are plenty of those—are the folks who knew what compromises to expect when they bought the lens. Reviewers appreciate its full functionality, build, and quality. The biggest reviewer gripe is how the lens becomes top heavy especially between 200-300mm. There aren’t many complaints about color rendition, contrast, or edge-to-edge sharpness—for a super-zoom. That last point is important and something to think about with all things considered. The main plus point has to be the broad focal length range. The 28mm wide-angle all the way up to 300mm super zoom affords incredible versatility from a single lens. Nikon’s Virtual Reduction (VR) II image stabilization works well. It helps to reduce camera shake and assists handheld shooting at slower shutter speeds. It’s a vital characteristic for a superzoom lens. Another nice feature is the Silent Wave Motor (SWM) auto-focus system. It’s smooth and pretty quiet considering how hard it has to work. You’ll appreciate this when shooting video in particular. There are times when we need or prefer precise manual focus and you have that option too. The M/A mode lets photographers quickly switch from auto to manual focus modes and vice versa. The Internal Focus (IF) provides fast and quiet autofocus. And because the front element doesn’t rotate it means filter positions don’t move either. That’s especially useful when using polarizing filters. This isn’t a particularly heavy zoom lens considering its focal length. It does get top heavy when zooming out though. Combine this with the lens bulk and it’s not the nimblest of lenses to use. The image quality could use some improvements at various settings. For example, chromatic aberration can be significant at wider apertures. Some vignetting or light fall-off is also evident. Still, the only way to tweak the imperfections with the Nikon 28-300mm f/3.5-5.6 NIKKOR Super Zoom is to increase its price. And if the price went up it would no longer be the affordable product it is. There’s no such thing as a 100% perfect lens and that applies to all price ranges. But this one takes some beating when you consider all that it offers compared to what it falls short on. I hate the use of “for the price” in reviews and consider such comments a disservice to the consumer and manufacturer. The final result is what all reviews should be evaluating, and how the equipment allows, aids or hinders the photographer in achieving that result. “For the price” throws an intangible and unsolvable variable into the mix. Let the consumer decide how much they are willing to spend to purchase their equipment.